Tickets are now on sale you can experience that special Warwick Folk Festival magic – great music, comfy camping, workshops, singing, dancing, sessions and giggles galore at one of the friendliest festivals around. 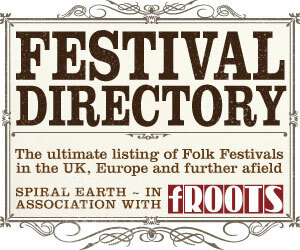 You will be able to discover favourites in a hugely talented new generation of acoustic artists. Festival Patron Will Pound leads from the front in his duo with Eddy Jay, Danny Kyle Award winner Bella Gaffney joins forces with acclaimed mandolin player Polly Bolton fusing Celtic folk with bluegrass, plus Will Finn & Rosie Calvert, Rosie Hood, Gathering Tides and many more. 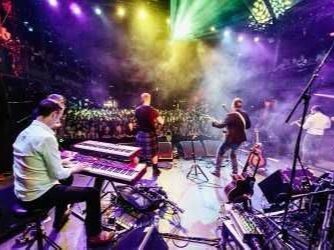 The marquee will be back for high energy gigs with headline acts including Skerryvore, Karen Casey, Calan & Breabach. The purpose built Bridge House Theatre is a perfect setting for Mick Ryan’s Folk Opera ‘Here at the Fair’, and, with lots more venues on site, expect to find music and dance around every corner! and of course ceilidhs return to Warwick Hall, at the centre of the festival. Bands booked for your dancing pleasure so far include Glorystrokes, Banter, Random Ceilidh Band, Urban Folk Theory and Tautas Rok. A place for generations to spend time together. Throughout the festival there is a host of performers, activities and entertainment for families, plus a full programme of activities for 12 – 18 year olds. Save money with free tickets for Under 14s and discounted family tickets. Warwick Folk Festival – the heart of folk. 40 years of bringing the best traditional & contemporary folk to the historic town of Warwick.